After Hannah gave this book a 5 star review on Good Reads, I expected a good book, but this one totally went over and above anything that I could have expected. The book is set in Le Cirque des Rêves, a strange traveling circus that only performs between sunset and sunrise. The circus appears overnight in random places around the world with no warning, and it disappears just as suddenly. The two main characters are Celia and Marco, two young people bound into a bet between their mentors, a challenge that will supposedly only end when one or the other dies. The bet is very mysterious to start with (both to Celia and Marco and to the reader), but we learn more as the book goes on. It’s intriguing to learn how much this challenge is intertwined with the Circus, which leads up to a dramatic closing few chapters to the book. You can tell fairly early on that Celia and Marco will fall in love, but the progression of that storyline is beautifully written, and full of will they-won’t they moments when you’re not sure whether what you’re reading is true or just an orchestrated part of the bet. The other main storyline is a boy called Bailey, and it takes until almost the very end of the book before we realise what his purpose is for being in the book. It’s almost an afterthought to the book, but it finishes off the story very well. My main problem with this book was the way it jumped around between times. Usually I don’t mind this, but the differences between time were so small (sometimes just one year), that it became hard to know where we were – I often found myself having to turn back a few pages to see where we were and where we’ve been. 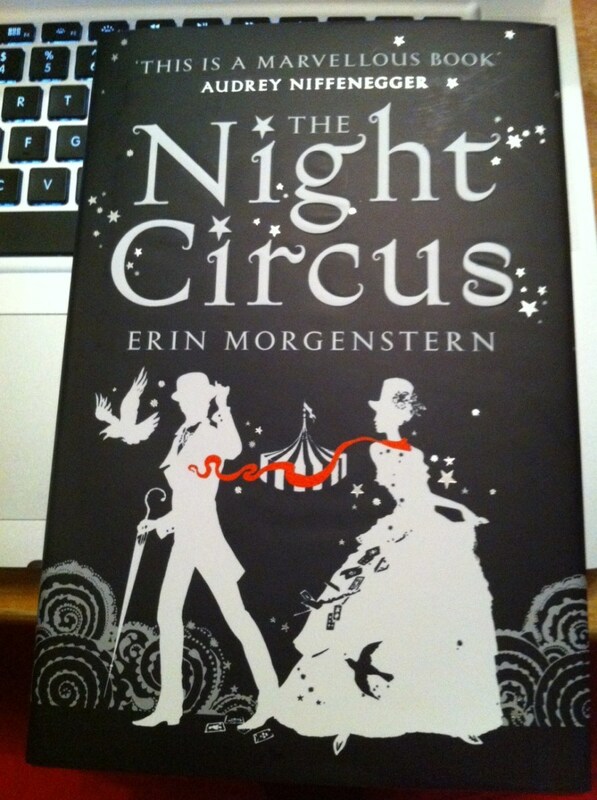 The world that Erin Morgenstern has created is spectacular, part fantasy, part fairytale and part dream. Every tent of the circus is described to us in detail, so you can almost feel like you’re walking round the circus, you definitely become completely immersed in this book – I found it very hard to put down once I’d started reading. I would have loved to give this book a 5/5, but the way it jumped around a lot spoilt my enjoyment of it a little bit, so I’m only giving it 4/5. It’s a shame as it’s such a lovely looking book, and it was a joy to read. I must be one of the last to read this book.